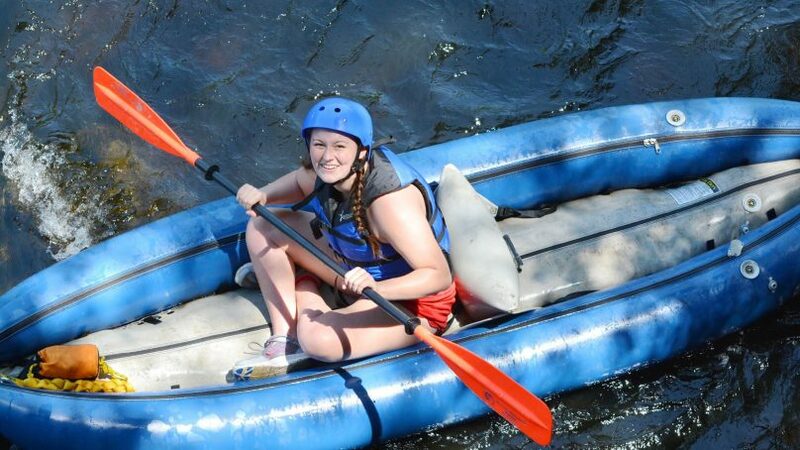 Explore the Lehigh Gorge State Park in an inflatable kayak! 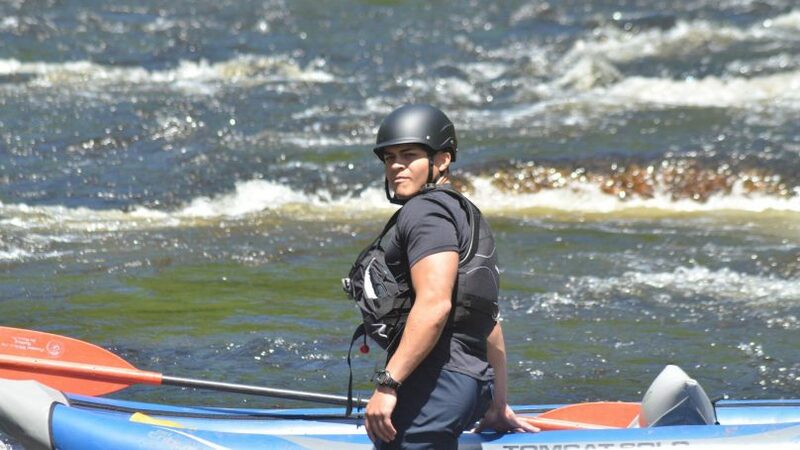 On The Expedition, you’ll take control, challenge yourself and get a great workout. 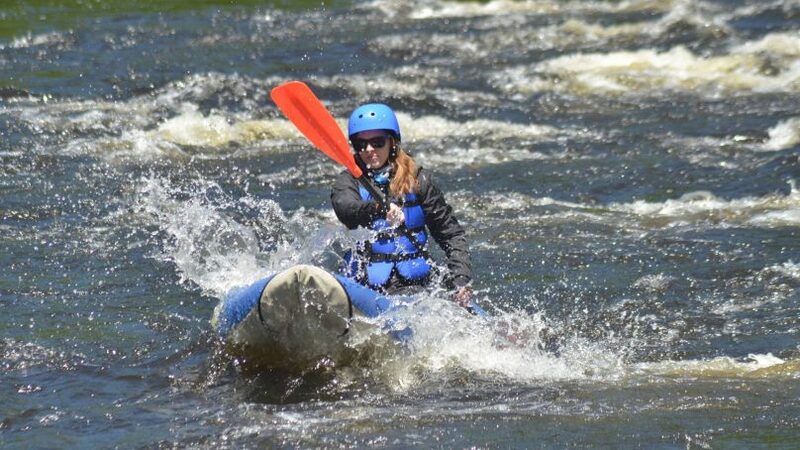 Explore 12 miles of the Lehigh River when it is not open to whitewater rafters! 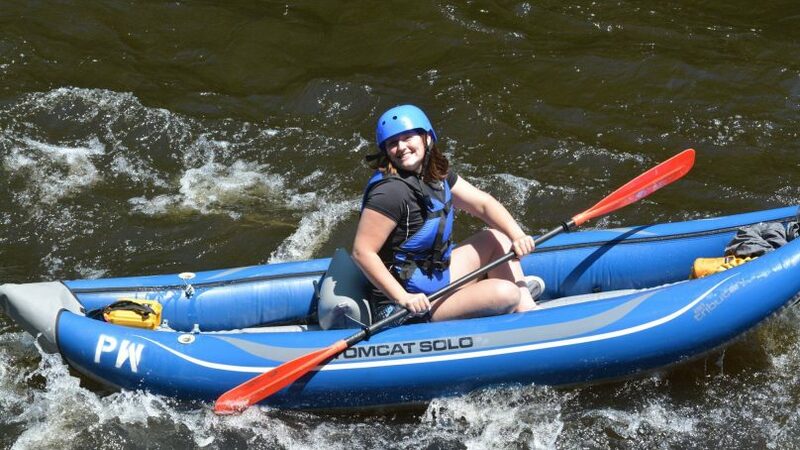 You will independently navigate and explore the Lehigh Gorge State Park via an inflatable or sit a top kayak. 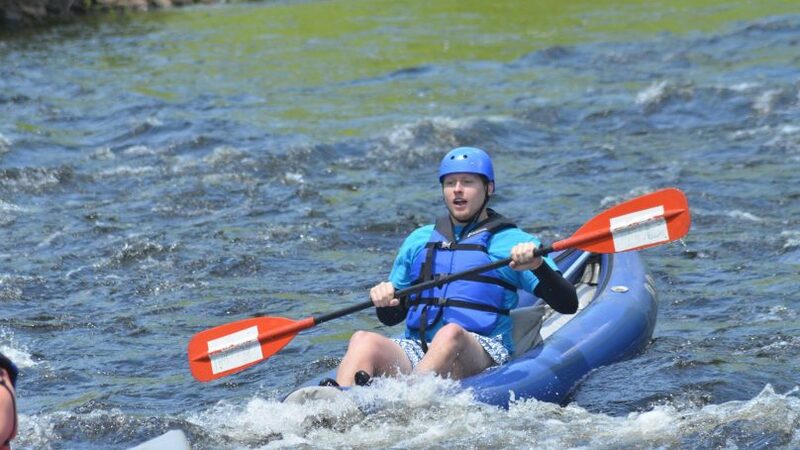 You will catch eddies and ride waves while discovering the history of the Lehigh River in Jim Thorpe. 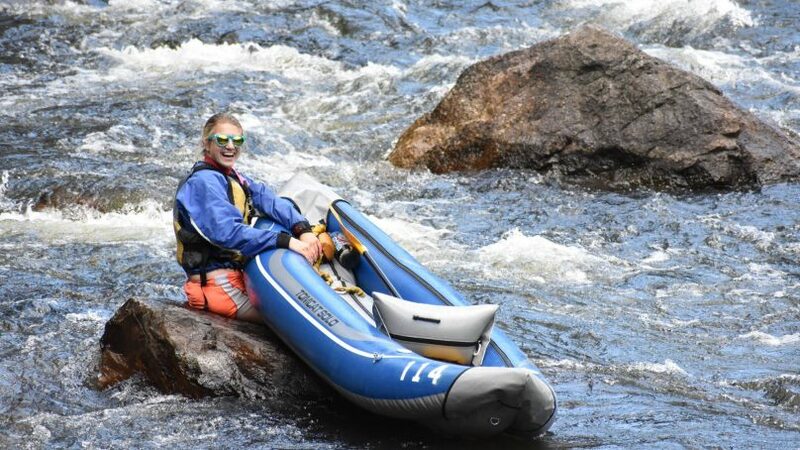 Our river guides will be with you the entire time providing basic instruction on how to maneuver, surf and navigate the river as well as help you get back in your kayak if and when you swim. 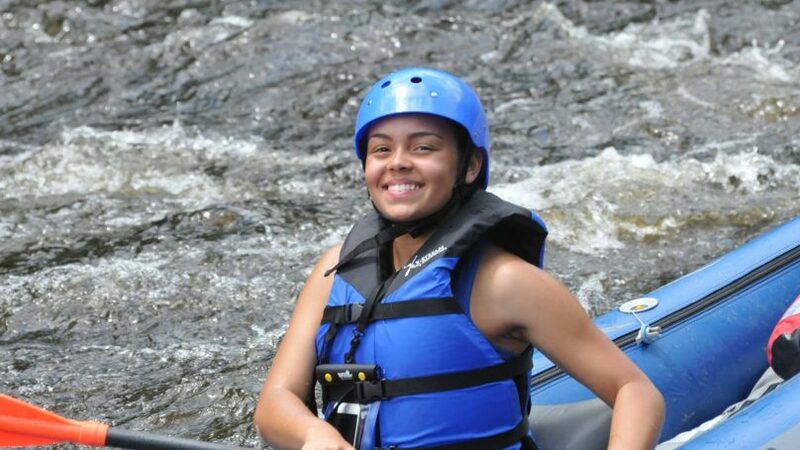 The Expedition is a Pocono Whitewater Exclusive Trip. 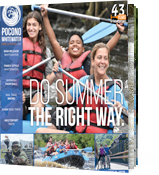 In addition to this, our other Pocono Whitewater Exclusive trips include the Big Day Out, the Big Night Out, and Moonlight Rafting. 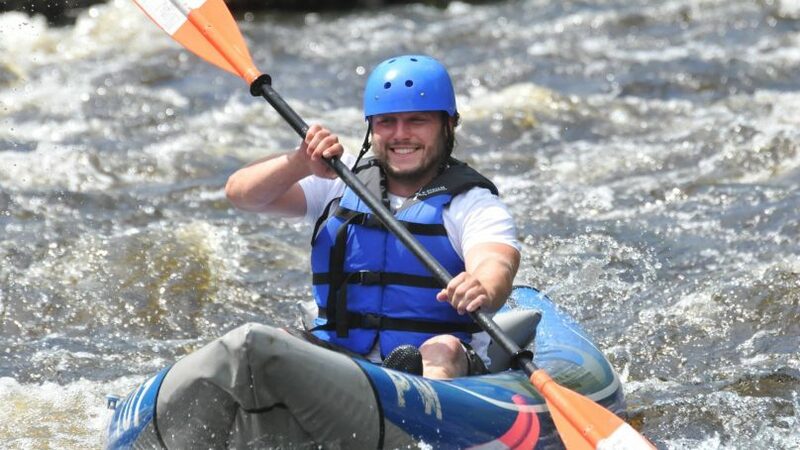 We also offer other adventures as well. 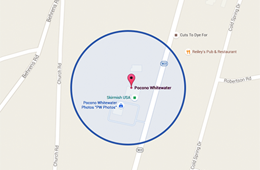 Click here for information about biking, and here for information about paintball. Private Expedition trips are available to groups of 10 or more people, mid-week. 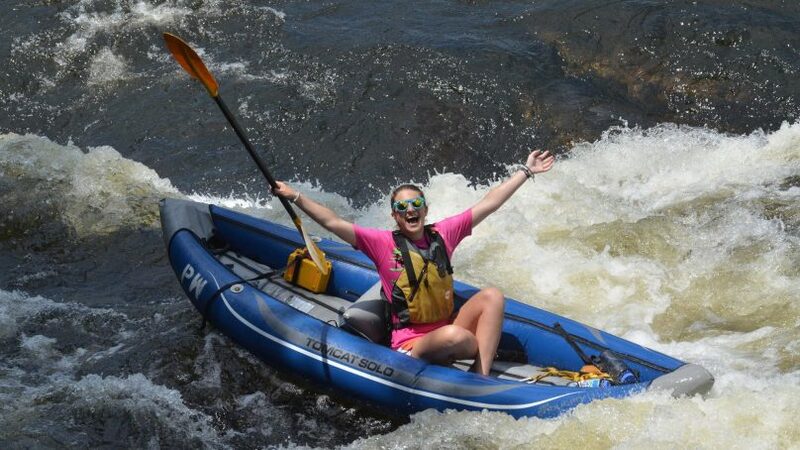 Just give us a call at 1-800-WHITEWATER (1-800-944-8392) to arrange your private trip. Be 13 or older and under 300 lbs.